Rockman Corner: Happy 29th Anniversary, Mega Man! I'm gonna see if I can do minimalist runs of the X games. I don't care about his birthday again and again. Just make a new darn games, Capcom!!! 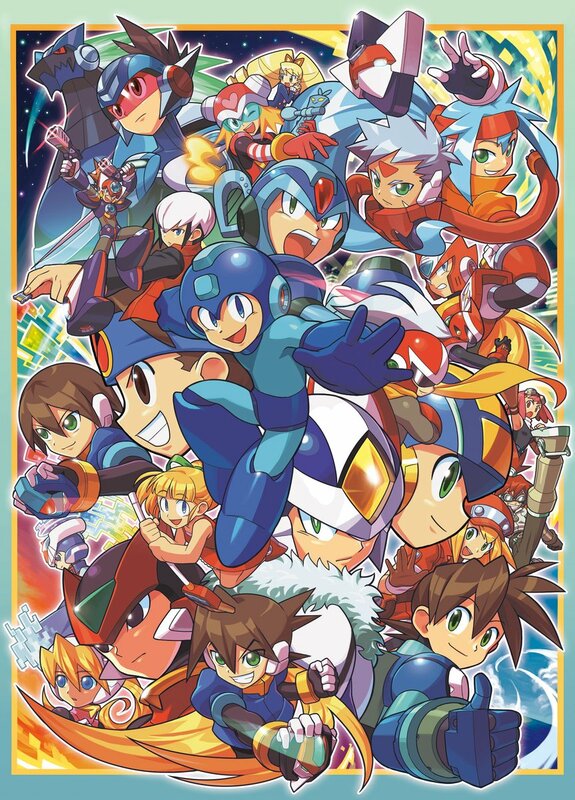 Does anyone know how to get to those 30+ Mega Man games that were released for cell phones? Things like Rush Marine and that Wario Ware like game? Otherwise I've just about exhausted the library. Even more information on those games would be cool with me as I know some games, like Xover, simply aren't an option anymore. Oh, I'm already doing myself a playthrough of the main timeline, all the way from classic to legends. Having only played Zero and Zx series before, I'm currently at X5 and having a blast. My favourite Classic is either 7 or 10, and my favourite X is X4 so far. From Zero I like the fourth one the most and ZX fav is ZXA. I can't wait to play legends for the first time. Mega Wishes to everyone and remember to Rock on! That's a good mindset! The next year will be interesting. Thanks for another year of delivering the news! Thanks Protodude for everything all year. Kinniku needs to start drawing for Rockman again, the man is beast! 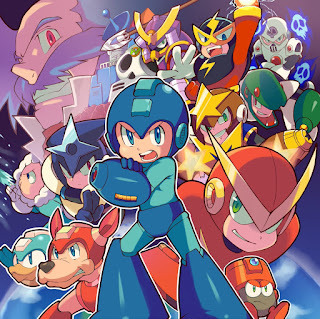 My favourite of all time is: Rockman 7, Rockman 8, and Rockman & Forte. I played them all the time.. Never got bored. Fantastic graphics and very fun stages! That Ariga picture is adorable as always! (Always loved that outfit on Roll, too.) But I swear I've seen that one on the far right before. I think I might even watch the artist who drew that on DeviantArt... Or I might be thinking of something and someone else entirely. Ah, doesn't matter. Happy 29th Birthday, Megaman and company! Looking forward to next year celebrations, I hope Capcom has something awesome in store, hint: a new console game. 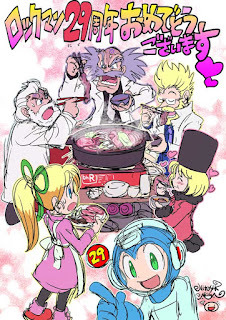 Happy birthday Rockman!. Well the only Mega Man item I need to check off is finishing the GB Mega Man III. I'm in the final stage, and thank goodness for the 3DS's ability to save anywhere in downloaded games. I'm almost done with it. Thanks you for sharing .. . .